Halo Bali Spa is a large spa located along the main road of Bali, on the way to Sanur. The spa is highly regarded for its technical massages, with a clean interior that is bustling with tourists every day. 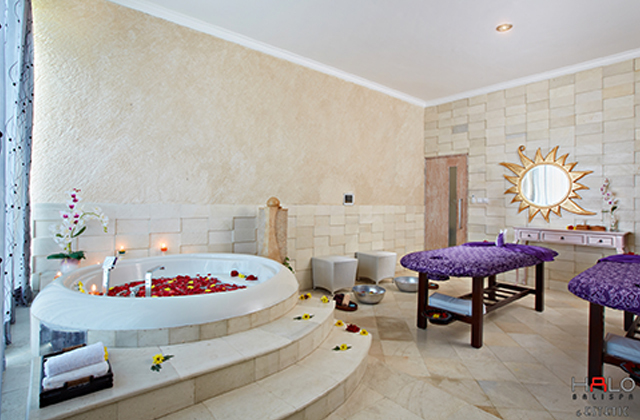 We recommend visiting the spa on your way to Ubud, or to relieve tiredness on your way back. Aromatherapy Body Massage（1.5 Hours）：Welcome Drink Tropical Flower Foot bath、Aroma Oil Massage Shower＆Bath. Since A number of Room is limited.